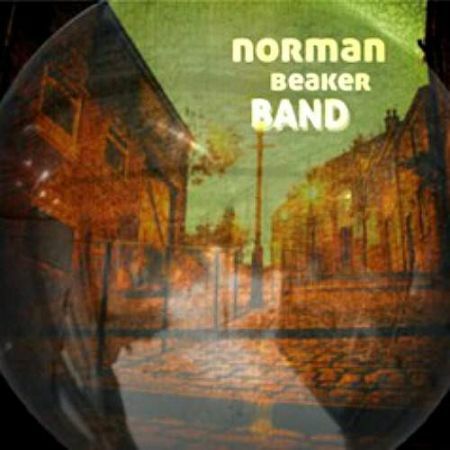 Manchester’s Norman Beaker will probably not be a familiar name to US audiences but in Europe he is synonymous with good blues, whether with his own band or backing singers like Larry Garner and Chris Farlowe. 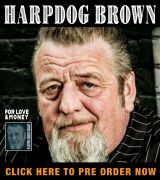 He was inducted into the Blues Hall Of Fame in 2017, finding himself among a small elite of Brits thus far honored – Jack Bruce (with whom Norman played back in the 1990’s), Peter Green, John Mayall and Eric Clapton being some of the others! Norman’s recorded output is probably not as extensive as it should be – but he’s a busy man, touring a lot, especially in Europe, so time in the studio is at a premium. However, this time he has gone the extra mile and delivered a very full album with lots of solid tunes. Norman wrote all the material here and handles lead vocals and guitar throughout, apart from two tracks where guests Larry Garner and Steve Ellis (Love Affair) sing. The long-standing rhythm section is John Price on bass and Steve Gibson on drums, Nick Steed is on keys and Kim Nishikawara on sax; Steve ‘Howie’ Hallworth adds trumpet to three tracks. The quirky album title follows a tradition of Beaker titles, previous ones including The Older I Get The Better I Was… and Who’s He Calling Him? The album starts with a bang with a full-on rocker entitled “Only I Got What The Other Guys Want”, Norman, Kim and Nick all in fine form and the lyrics displaying a keen sense of humor as Norman brags that although he has no job or money the others are still envious! The contrast with “Where Does Acting Start” is not only in the seriousness of the lyrics (“We fell in love, we thought forever; at our age we should’ve known better. When it all falls apart, tell me, where does love end and acting start?”) but also in Norman’s guitar which moves from the Stones-like rock of the previous track to some delicate stuff here; Kim’s solo and Nick’s twinkling piano are also excellent, making this an early highlight. “Details” takes us back to the days of British Rn’B with an early Stones/Animals feel, Norman even adding some harp and “Cheating Love” plows a familiar blues furrow with a churning riff and lyrics about the proverbial ‘cheating woman’. Album closer “Love Me Tonight” also employs that churning rhythm and plenty of Norman’s guitar, both rhythm and lead overdubbed. Not all of the album is blues, “I Believe In You” and “Thanks But No Thanks” (with superb sax work) fitting more into a pop style but there are still plenty of blues highlights. Norman delivers a scintillating solo on the outro of “Railway To Roam”, an upbeat tune driven by Nick’s organ and a funky rhythm, as is “Nothing Changes” which has a great horn riff that must be Kim doubling up as no other horn players are credited on the track. The two songs with guest singers appear next to each other: “Time And Tide” is a blues ballad that sounds a little like “Need Your Love So Bad” (even string effects) and Steve Ellis sings it well, Norman adding a Freddie King sounding solo; the band is at its very best behind Larry Garner’s commanding vocal and guitar on “I Don’t Want A Lover”, one of the songs boosted by Howie’s trumpet. “Thursdays Off” is given a Spencer Davis feel courtesy of Nick’s Winwood-esque organ work and the horns blare along behind the chorus. Norman shows that he can turn his skills to a country style on “If I Could Turn Away” and “Bottom Of The Slide”, both very catchy tunes. 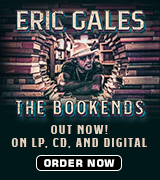 The remaining two songs are both slow blues in “Hard To Be Somebody” and “Nobody Knows Where The Time Goes”. To be fair, Norman’s voice is not as strong as his guitar and songwriting but he delivers the lyrics satisfactorily. With strong originals and fine playing this is a good opportunity to discover Norman Beaker’s talents.